I don't eat out very often, but my wife and I went out this evening. She has been on a mostly vegetarian diet for several months, so we decided to go somewhere that served something light. 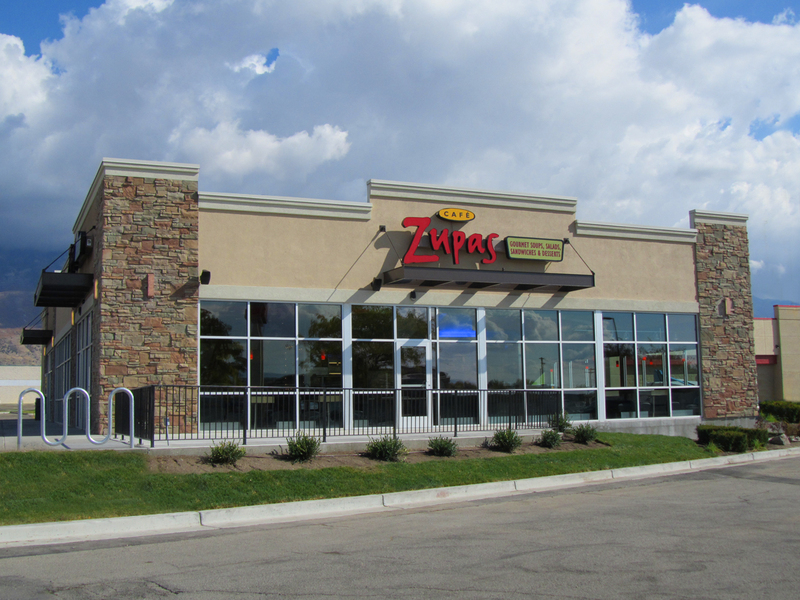 Neither of us had been to Zupas before so we gave it a shot since their sign said they serve salad, sandwiches, and soup. I was totally impressed. I can't tell you how many times I've seen pictures of food in commercials or on a menu, but when the food is served in person, it looks nothing like it. This was NOT the case at Zupas. I was astonished at how fresh and perfect looking every piece of food was. We ordered specialty salads and they looked even better than the photo below which is from their online menu. Not only did the food look amazing, but it was also very fresh and tasted great. I was full after eating but didn't feel stuffed or bloated like when I eat at some fast food places. I was kind of wishing I was still hungry after our meal because they also offer some amazing gourmet desserts. While we were dining in, I noticed that they also offer catering. What really impressed me in addition to the quality of the food was the price. We ordered two big specialty salads and a sandwich, and they were served with sides of bread and chocolate dipped strawberries, all for $16. We've spent more than that in the past at other restaurants where the portions were not nearly as generous either. 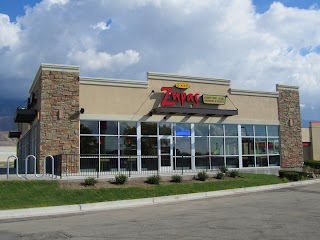 I was pleasantly surprised with my first time visit to Zupas. The appearance, quality, and value of the food was great. It's always nice when a restaurant exceeds your expectations. I will definitely be back again to try out other items on their menu. If you are looking for a place that serves fresh delicious food, then I highly recommend them.